ARIZONA: State GOP Operatives Get Busted Trying To Donate "Communist Party" Money To Dem House Rep - Joe.My.God. 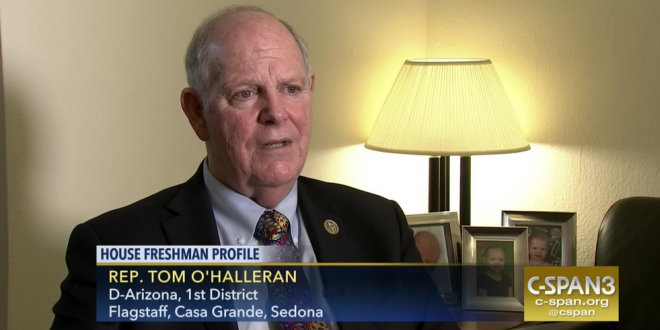 The Arizona Republican party has cut ties with the two men who posed as communists to try to make a damaging contribution to Rep. Tom O’Halleran (D-AZ) just before the midterm election. “I am here because two young gentlemen made this contribution to our campaign,” Coleman said as she arrived at the front desk. At this point the man who allegedly called himself Rosales comes out from behind a door, with another man behind the desk informing Coleman that his real name is Oscar. Fired because they got caught. Watch the money get returned below. O’Halleran, by the way, won his seat in 2016 by defeating homocon Sheriff Paul Babeu.